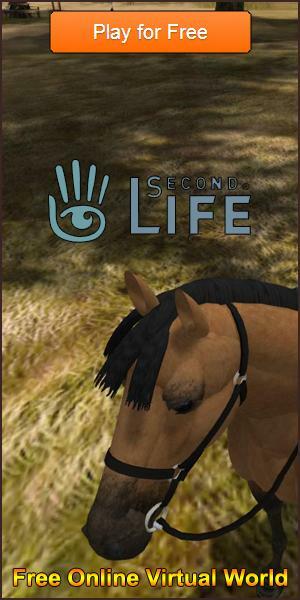 Rate this Article How do you breed horses in Horse Haven: World Adventures? What do you need? Horse Haven: World Adventures, indeed, has a whole world for you to explore as a horse enthusiast. You can do so many things here, from the usual racing to the more challenging eventing, or when you enter your horse into an event. Breeding is also another activity that you can experience in the game. It is quite challenging, but it’s also very thrilling. After all, you don’t really know what kind of foal you can get after you breed two horses together. So, let’s take a look at how you can breed horses in Horse Haven: World Adventures. First of all, if you are going to breed horses, you are going to need a sire and a dam. These are the male and the female horses, respectively. Choose a pair from your existing stable, and set them aside in a stable on their own. You would also need an empty stable set aside too. This will be for the foal that will be the result of this union. Oh, and yes, you would have to be at Level 5 in the game in order to breed. This is because the requirement for the stable house to become available for use is a character whose level is at 5. Not to worry - if you spend plenty of time playing the game, you can easily accumulate the experience points needed to break past Level 5. Finally, you will need to have sufficient funds of in-game cash, called Coins. You can earn coins as rewards for participating in activities in-game. If you want to better your chances of getting a rare or higher tier horse, you will also need to spend diamonds - the game’s special currency. Now, there are two kinds of breeding that you can facilitate in Horse Haven: World Adventures. Just like in the real world, these are pure breeding and cross-breeding. Pure breeding is when you breed a male and female horse of the same breed. In other words, breeding an Arabian with another Arabian, an Andalusian with another Andalusian, so on and so forth. In the game, breeding pure horses has the possibility of bringing out a foal of the same breed but of a higher tier than that of its parents. Otherwise, it will be of the same breed but of the same tier, which means its attributes are more or less the same with its parents. Cross-breeding, on the other hand, will result to a wholly different breed coming out. It will also be of a lower tier than its parents. Nevertheless, the breeding menu will show what possible foals you can get out of your breeding attempt. Once you click on the Breed button, the process begins. It normally takes a few hours for the process to complete. What people usually do is just go on with what they do everything in the game, and let the clock tick. However, if you cannot wait, you can expend special currency. If you have many friends in the game, you could send them a holler and ask for some assistance to shorten the breeding time.